On average at weddings, we photograph around 2000 images over the course of the day. This allows us to make a final set of 400+ finely edited photos available to you. We find that during the editing process we usually have more than that and have sent up to 600 images in the past. At your wedding, you’ll have two experienced photographers who have worked together for more than 5 years achieving a varied and full range of pictures. We’re perfectionists as well, so we’ll photograph as long as we feel we need in order to get the right shots. After the day is done, we begin the editing process and we’ll send you your digital images within four weeks after your wedding day. To keep it simple, we have two wedding photography packages below. 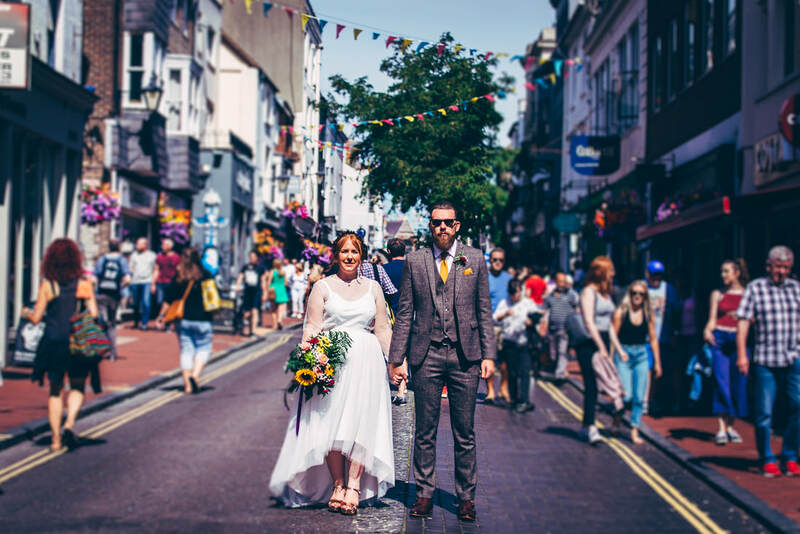 All our wedding package prices include travel costs within a reasonable distance from North Wales, however we are open to traveling across the UK and can adjust pricing for your location accordingly. We’re happy to accommodate all your photography needs! That’s why we also offer bespoke wedding photography packages. So, if you have something specific in mind or are planning a shorter wedding, please get in touch with the details so we can customize a package that’s right for you. We promise to respond to all enquiries and usually within 24 hours, so don’t wait to get in touch! *The full day package includes both of us for the first half of the day, usually from the first bridal preparations to the wedding breakfast. Once the meal starts, Omid stays on and Amy leaves. In our experience we have found that the wedding becomes much more relaxed after this point and the need for both of us to be photographing during the meal, speeches, first dance, and party is not as important as the first half of the day. This allows you to relax while Omid takes pictures and barely notice his presence. Of course, if this doesn't suit your needs, let us know and we can see if another arrangement is suitable. Please note that we are now fully booked for 2019! Get in touch for 2020 and beyond!